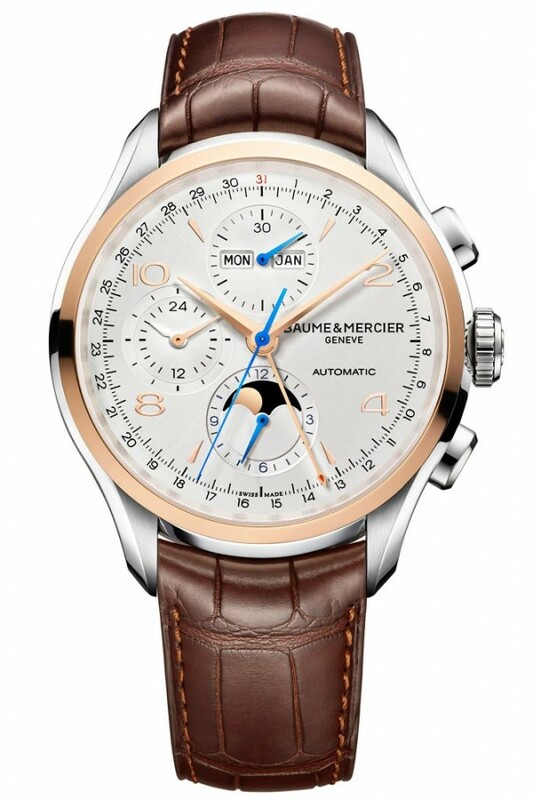 The new Clifton Chronograph Complete Calendar creates the perfect union between watchmaking expertise and elegant design. 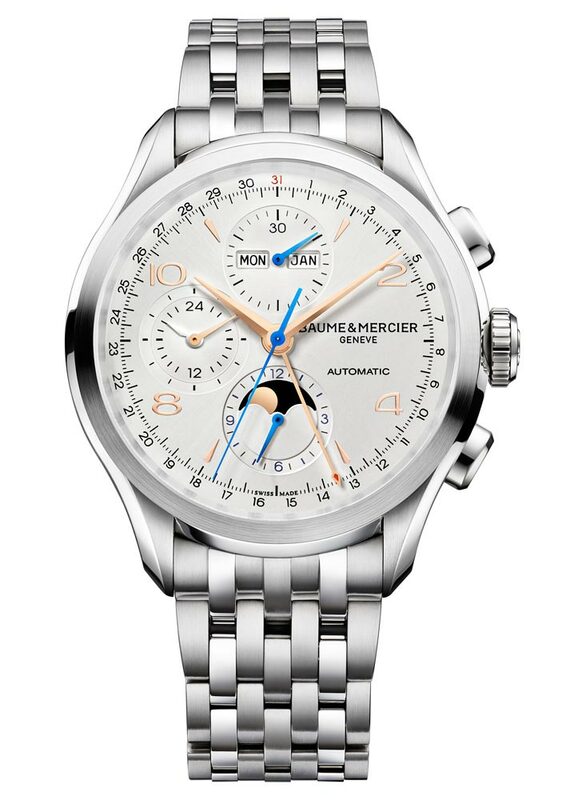 The personality of the timepiece gives it a high added value created by combining two functions: a chronograph and a complete calendar. This symbol of refinement is designed for men who want to stand out with a watch that is both unique and timeless, a blend of tradition and modernity. Three versions are presented to satisfy a wide range of tastes and desires. 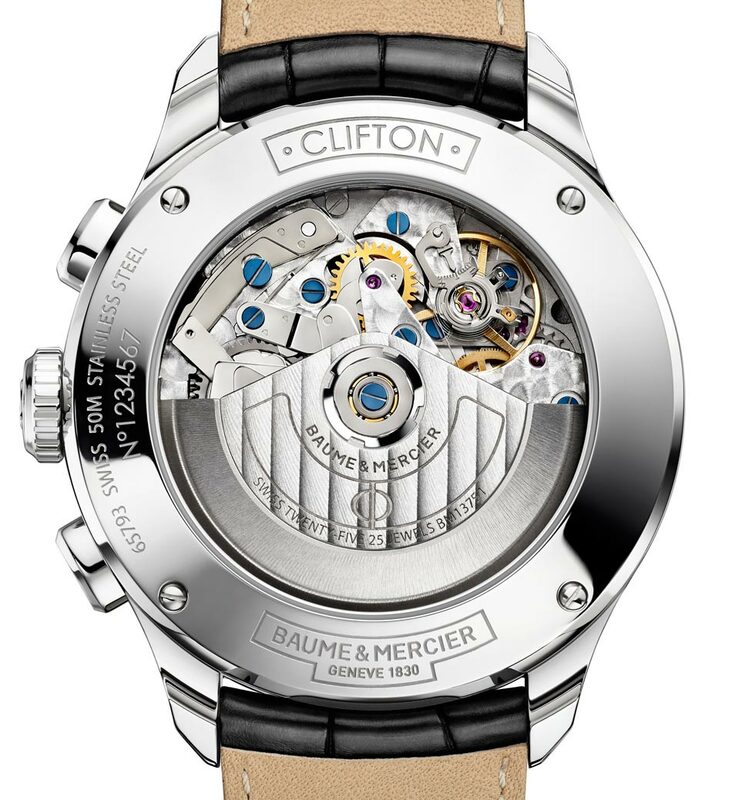 Clifton watches embody all the watchmaking expertise of Baume & Mercier. 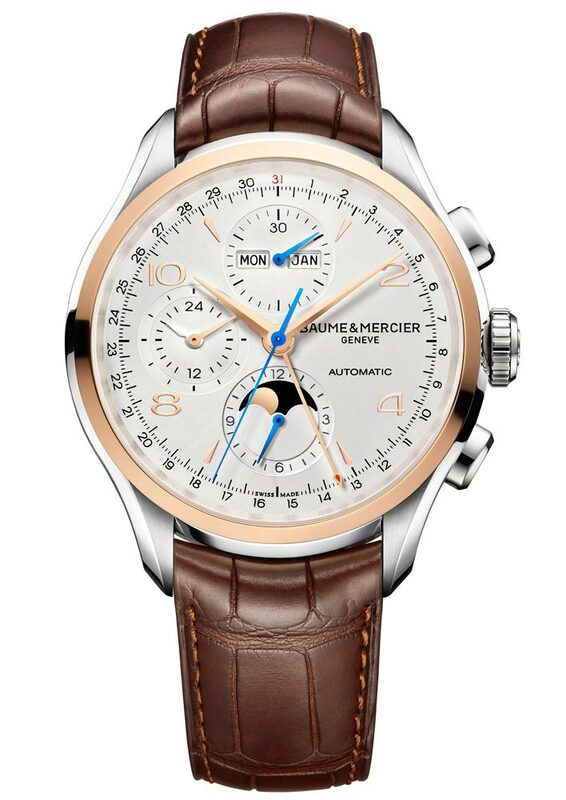 Loyal to its motto, “Accept only perfection, only manufacture watches of the highest quality“, Baume & Mercier drew its inspiration from the “golden 50s” models in its museum collection. The simple, refined details of this new model, along with a firmly masculine and timeless design, will appeal to all lovers of beautiful watchmaking who are searching for a distinctive wristwatch to mark the great moments of life. 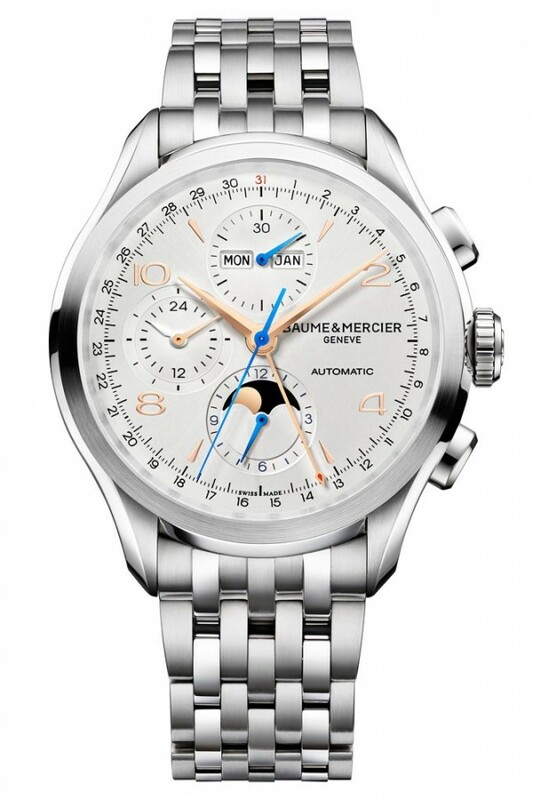 In this watch, Baume & Mercier relies on a look with a strong personality based on integrating two new fine watchmaking complications. 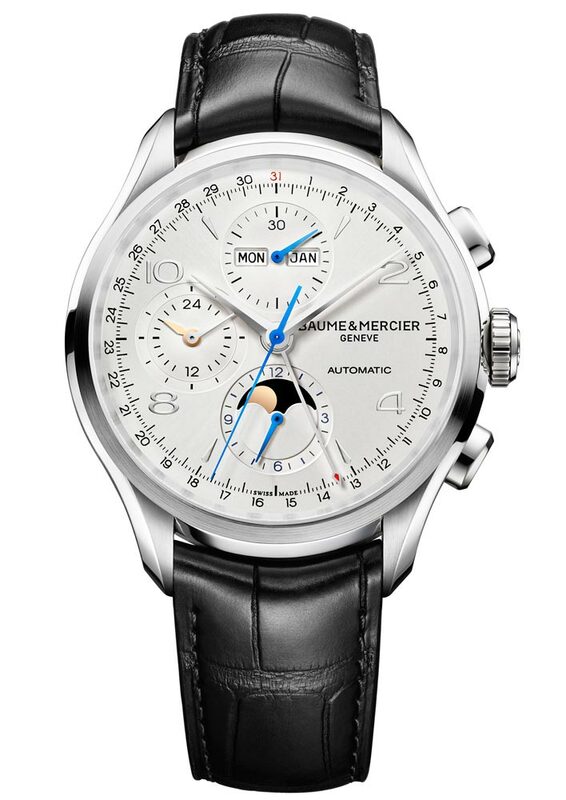 The Chronograph Complete Calendar embodies the company’s belief that a watch is not an ordinary, everyday object but a potent symbol, a style statement, and a reminder of key moments that have marked one’s success. 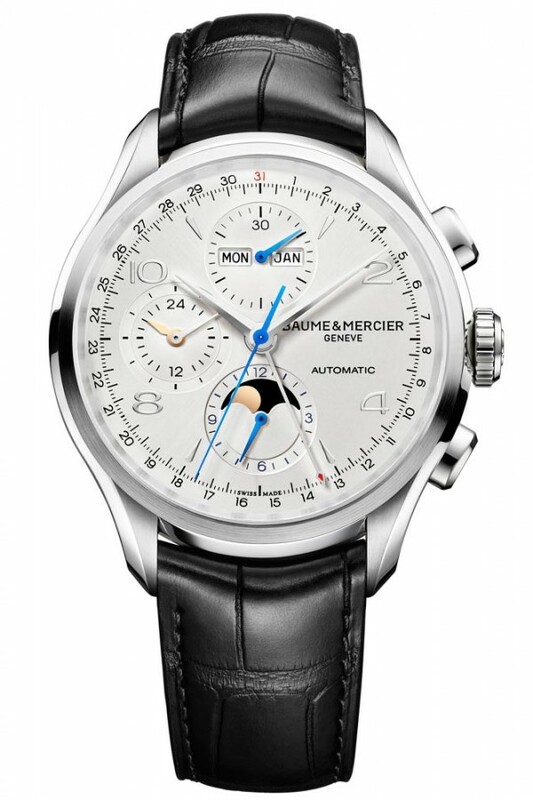 A timepiece reflects a very personal vision of time – a projection of one’s very self.